The common thread of all retirement advisers seems to be how many millions we’ll need to have in order to live during our retirement years. With all the recent studies about how poorly everyone is doing with saving anything, I have to wonder how many will achieve the high standard that is set before us. If we look at things from another direction, is it possible to live out our retirement years without all the millions required? If we took the money we would be investing into RRSP’s or 401k’s and invested, instead, into avenues of sustainable living, we are guaranteed a decent return. If we put our money into a greenhouse, solar panels, water conservation systems, alternative transportation or even community living, in some way, it will guarantee a return and even a reduction in costs. Let’s look at it in dollars and cents. 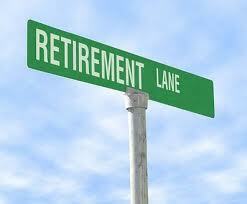 In studies from 2009, the solo 401k salary elective deferral limit was $16,500. The corresponding IRA annual limit was between $5,000 and $6,000, depending on the depositor’s age. According to the Consumer Price Index, the current inflation rate was minus 1.3%, which means there was technically a period of deflation (Consumer Price Index Report: October 30, 2009). So what does this mean? It means that all the monies dumped into all the traditional means of investment are actually losing value, but if we invest in means of sustaining ourselves, we definitely come out ahead. If we invest in a greenhouse, or even just a garden of our own, we have fresh food to eat and preserve, which will save on grocery bills. If we can invest into solar panels, or even just a few, we cut down our utility bills and can even be paid for the power we generate. Water conservation systems will drastically reduce the cost of both water and sewage and even if any type of community living isn’t for you, it is an ingenious way to greatly reduce costs of living. All these investments will provide gains for us, mainly as much as we’re willing to give to each of them. I know that many people are currently laid off or have been terminated from their jobs, and may not have the means to put toward all of these projects but it does provide us with time; time to indulge in smaller projects. Time could be spent toward building cold frames from recycled material, tending an abandoned orchard, planting a new garden, wildcrafting or lots of other do-it-yourself projects. We are definitely living in a time of huge change and there are two ways we can view it. We can view it as an opportunity to create something new – or we can view it as a terrifying change. I would like to share with you a project that was completed a short time ago here in my area. The gentleman behind this dream has put his all into seeing this to fruition and I hope you’ll take the time to have a look at the site and all that’s been accomplished here – especially view the video that explains how they produce their power & heating, it’s quite ingenious. As well, see what is used for insulation and its efficiency. Taking the math one step further, even if you were able to set aside money in a 401k and IRA up to the limits allowed each year for 35 years (which comes to about three quarters of a million dollars and is totally unrealistic for most folks), you might still fall far short of what the “experts” say you need to retire. You’re so right about investing in “avenues of sustainable living” instead – needing less rather than having more is the key to financial serenity at any time of life and especially during the retirement years. The more that you can do for yourself, the less you have to rely on money or on others, which is always a good thing. Agreed. Most boomers will not have enough to retire in the manner we’ve been led to believe we should. The two key to finding happiness in that stage of life will be first – focusing on our true priorities of family, health, purpose, personal growth and spirituality; and second – managing our financial and human capital in prudent, purpose-driven manner. Check out the book on this very topic at Rethinking-Retirement.com. Thanks for your thoughts here and thanks for posting. You definitely have the priorities straight, as far as I’m concerned and it’s always nice to find others who feel the same. Thanks for the link to the website, I’ll definitely have to check it out. I do truly believe that all of us are in need of evaluating both our finances and circumstances in a very prudent manner. I think we are finding ourselves in the AGE OF REFORM, and how we view retirement is no different……it is truly time to start rethinking everything and going about things from different angles. Even how we view success and wealth needs to be reformed. I liked this article as I myself have been thinking not about how much I need to retire on but how “Little” I can do it on and how much I can do myself through sustainable measures………. Thanks for the comment…..I do appreciate it. My wife an I realized several years ago that our retirement plan was going in the wrong direction. So we changed direction too. We sold our house, built a smaller one designed to be highly energy efficient, paid off all our credit (except the mortgage and we’re working on that). I’d been self-employed as a furniture maker for 13 years, but when the economy tanked luxury items like this were one of the first to go. As a self-unemployed person I put in a big garden and now grow a major portion of our food. We will not be going on cruises or touring the country in a motor home, but we will live comfortably and as securely as possible by having simplified and built self-sustainability into our lives. Thanks for the post….and your thoughts. I think that your situation is more the norm these days but unfortunately, many aren’t willing to face it like you did. We can all step up and help ourselves but we have to be willing to face the truth. Don’t you think that society is the one to blame for our “ideals” of retirement including cruises, traveling the world and being totally care free? That might be the “norm” for some but definitely for the most of us. So glad you’ve laid the map for your life going forward and you’re definitely an inspiration to many, that is, if they’re willing to face things head on. I have always felt there was something to be said about the “good old days” when we grew and then canned what we ate. We made out own bread, which I guess is a hobby and treat these days and we never had much but we never starved. It occurred to me a couple of years ago that I would be better paying off my mortgage rather than borrowing money to buy RSPs and then spending the rest of the year payng it back. I have been concentrating on keeping the bills at zero so that when I do reitre my living expense will be very low. Thanks for commenting, Brenda…..love hearing what others think.